This was taken several years ago and I stumbled across it again lately. 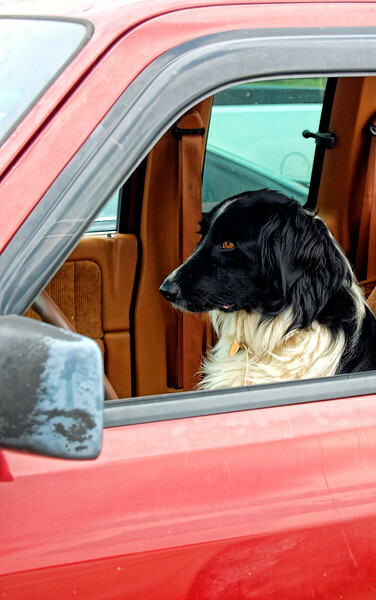 I have always loved this photo because the dog is sitting in the driver's seat waiting for its master to come back. Yet it does look like the dog is driving. I guess somebody is training this dog to drive this car? 😀 Great capture! Fine canine shot !! It really does look like it is driving ! Wonder how long it took him to pass the driving test? Super capture and pp!